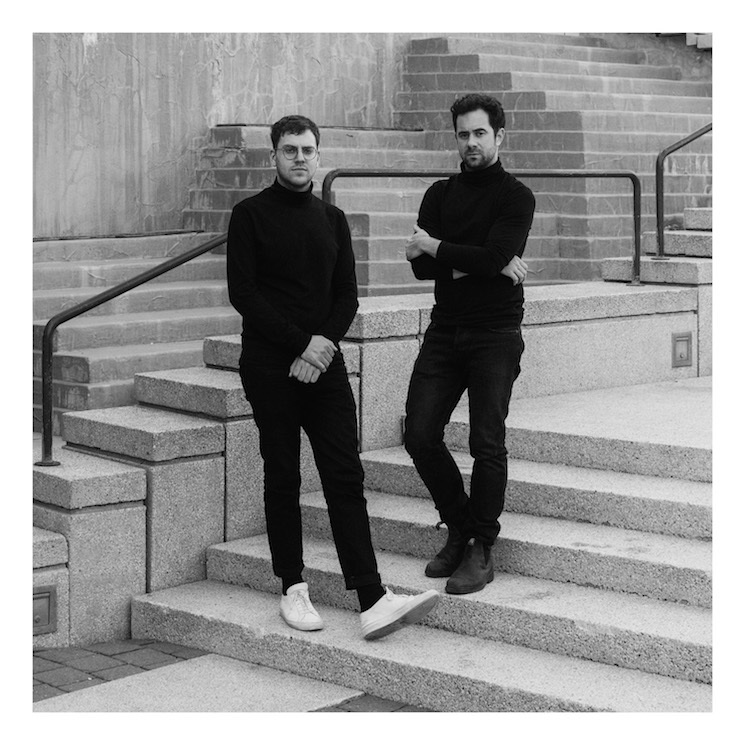 Electronic musician CFCF (born Michael Silver) and classically trained piano wiz Jean-Michel Blais have paired up to release a collaborative EP titled Cascades later this month, and they've just let listeners in on another preview of the record. Following "Hypocrite," the Quebecois duo are now streaming EP opening cut "Hasselblad 1," which is a polished version of the very first track that the pair ever improvised on together. "Basically, I was jamming around two chords while Mike was experimenting on top of it," Blais explained in a statement. "However, we opted for a different version for the EP, using the original recording of 'Hasselblad 1' — taken from my debut album Il's B-sides — and transforming it with CFCF's magic fingers." He added, "Subsequently, opposite but complementary worlds were merging: reminiscences of my original 'Hasselblad 1' recording — the loose tickling of a clunky upright, a clicking Hasselblad camera taking a picture, a saxophonist blowing down the street — were blending with parsimonious and ethereal sound manipulation from Mike." Cascades arrives digitally on March 15 and on vinyl on April 14 via Arts & Crafts. Listen to the hypnotic, dreamy "Hasselblad 1" below.